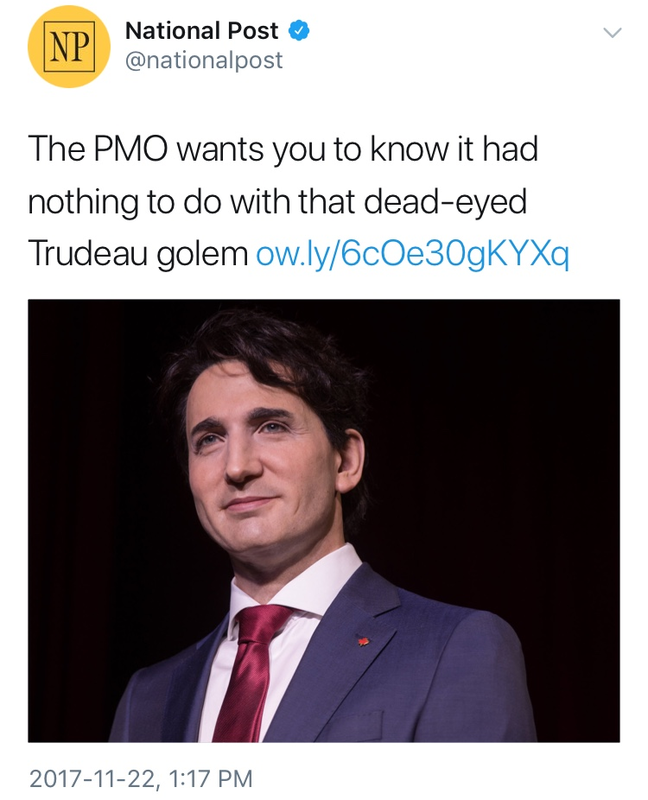 Trudeaumania doesn’t extend to a wax dummy. 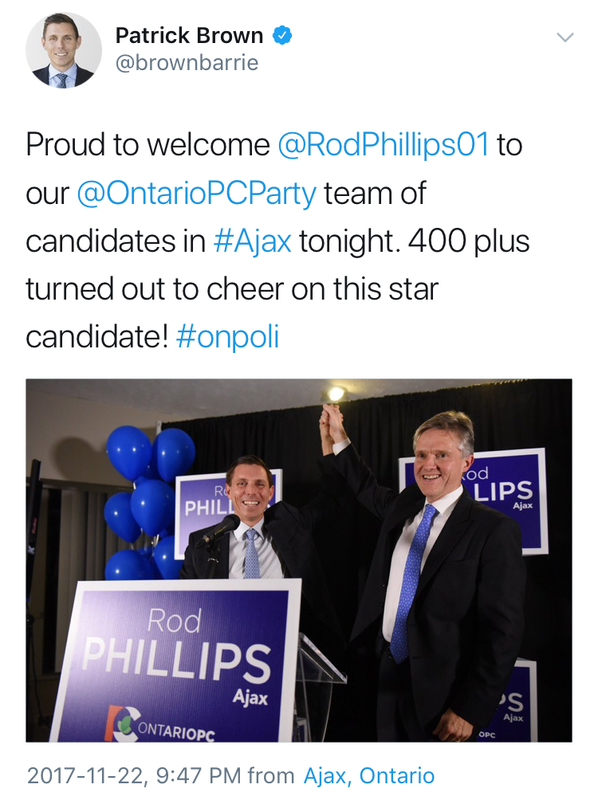 Evidence that the PM can bring out a swarm of young fans was provided at the Bridlewood Mall in Scarborough, where a scheduled bit of late-afternoon by-election campaigning for Liberal candidate Jean Yip—certain to replace her late husband Arnold Chan—turned into food court chaos that forced security to steer the PM out the door. Meanwhile, there’s little enthusiasm for this new likeness of Trudeau at Montreal’s Musée Grévin, which is lousy enough for his office to disavow it. “I put my journalistic reputation against yours any day of the week.” Conservative MP Peter Kent got into scrapping with Vice reporter Manisha Krishnan, who wondered what the ex-anchorman meant by saying kids will be “just as dead” from weed-related incidents as from fentanyl. Kent conceded it was an exaggeration, but chastised Vice's article as “a classic case of agenda journalism,” while Krishnan admitted she lost her cool. The confusing plume of pot smoke marketing. Now Magazine used a tired hippie motif for its cover package on the flowering cannabis culture. Conspicuously absent, compared to its last such feature in April 2016, though: surrounding ads for illegal dispensaries and delivery services. 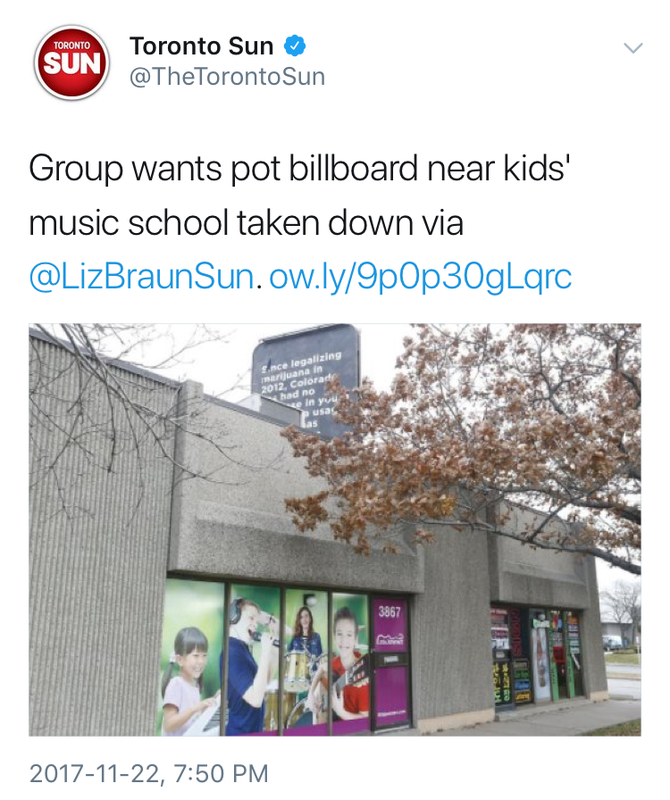 But one billboard advertising Weedmaps—which happens to hover above the Little Jammerz music school in Downsview—is being targeted by Prevent. Don’t Promote for text that falsely claims inhaling didn't increase after it was legalized in Colorado and Washington. J. Crew turtlenecks are being choked by the retail apocalypse. The apparel chain’s border-crossing in 2011 was heralded as evidence that Canada was fertile ground for U.S. retailers. Now, that trend keeps moving in the opposite direction, as J. Crew is accelerating closures due to slumping sales. Meanwhile, as the Sears Canada liquidation is probed by the Competition Bureau over apparent misleading price mark-ups, the closures find Ikea’s hopes for its mattress department springing eternal. Today's edition of 12­:­36 is brought to you by Big League Babble On. What’s it like to be a Toronto celebrity when TIFF comes to town? John Gallagher’s memoir says it gets you into the VIP section at parties—where the Hollywood celebrities figure you’re one of them. Then you can either help ruin their reputation, or end up saving their life. Big League Babble On explains exactly how it’s done. Final Four of the television bracket lines up for a surreal finale. 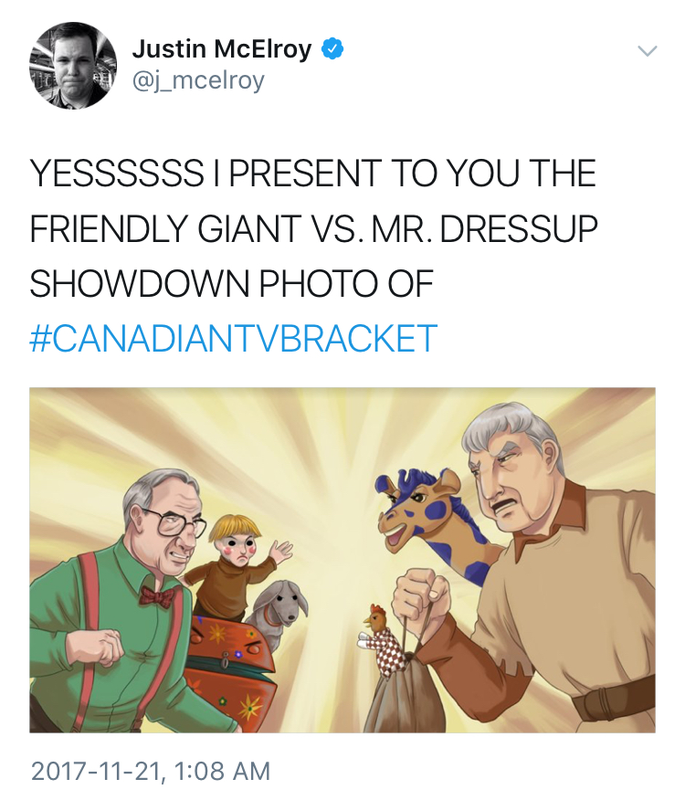 Justin McElroy’s impossible quest to crown “Canada’s Most Memorable (English) TV Thing” via online poll saw Kids in the Hall squeak past SCTV, Degrassi edge out The Littlest Hobo, Mr. Dressup beat The Friendly Giant and, disappointingly, 1990s Heritage Minutes pummel Body Break. The way the votes are skewing, this might end up being remembered as the competition that finally gave Ernie Coombs his giant-slaying due. The state of facing life after newspapers. A coalition in Quebec has taken over as the loudest voice both urging the federal government to help print media stay afloat and offering criticism of Heritage Minister Mélanie Joly cutting deals with Facebook and Google. The prospect of change looks to be in the air at Torstar, after Fairfax increased its non-voting holdings, leading to speculation about what the investment firm’s Prem Watsa wants out of the deal. And Postmedia’s board is now being chaired by Paul Godfrey; the guy who held that role has started looking for another job. Just For Laughs rival recruits Gilbert Rozon’s former standup lieutenant. Sexual assault allegations pushed the founder of the Montreal comedy festival to step aside, and inspired the founding of the new Festival du rire de Montréal, which now counts longtime JFL curator Andy Nulman as a consultant. Rozon's departure has prompted speculation of the company being sold. In the meantime, remaining staff have been playing up the amounts the festival contributes to Quebec. Toronto District School Board trustees voted to scrap the School Resource Officer program after a report concluded that the cops made some students uncomfortable.